It's Conference Sunday. It is nice to be back with my family after spend Mon-Fri in Honolulu. 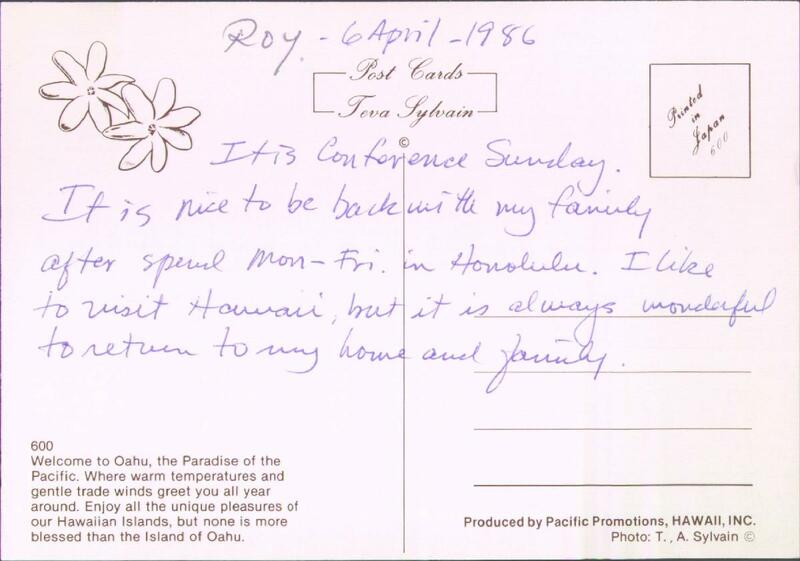 I like to visit Hawaii, but it is always wonderful to return to my home and family. Welcome to Oahu, the Paradise of the Pacific. Where warm temperatures and gentle trade winds greet you all year around. Enjoy all the unique pleasures of our Hawaiian islands, but none is more blessed than the Island of Oahu. 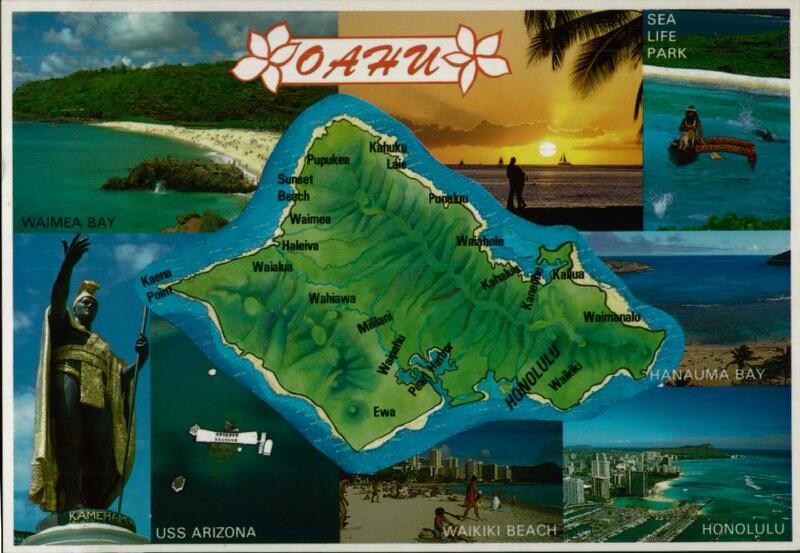 A little Oahu boosterism in the back-of-postcard copy.